Product #6382 | SKU GTR-205R | 0.0 (no ratings yet) Thanks for your rating! 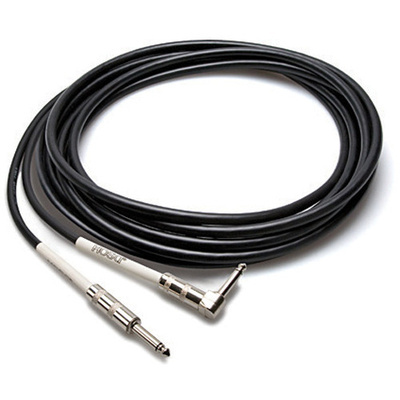 The Hosa straight to right-angle cable (5ft) is a traditional pro guitar/instrument cable that is 5' long, with 1/4" phone male plugs at both ends (One straight and one with a right-angle bend). This instrument cable features durable quarter inch plugs and heat-shrink under the headshells to protect the internal solder joints.